Assistant D.A. Kate Megason is about to prosecute the case of her career when someone starts sending her terrifying messages. Someone who obviously knows her deep, dark secret. Now, she needs the help of Frank Matrone--an investigator with his own shadowy past--or else Kate may have no chance of surviving a killer's brutal wrath. 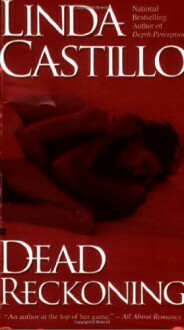 I am a fan of Linda Castillo's Kate Burkholder series and stepped out to read this book by her. I enjoyed it alot. It is a great mystery with very light on the romance, which is perfect for me. I plan to learily check out some of her other suspence novels and hope they are the same.